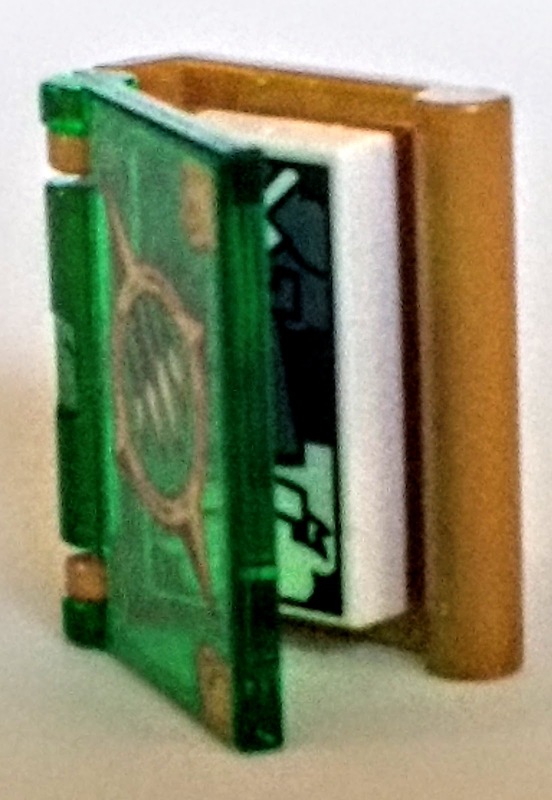 A web site about telling stories and little plastic bricks. 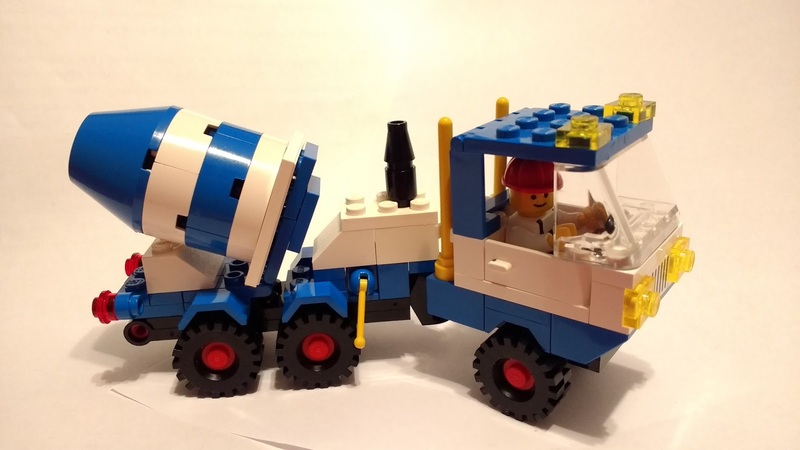 Just a bit after my first introduction to basic LEGO bricks in 1984, I was given the 6682 Cement Mixer, a Town theme set from the same year. It included my first LEGO™ minifigure, a happy little guy with a red hardhat and black overalls. And in the following years he poured many loads of 1x1 light gray tiles out of his truck, as well as driving, operating, or exploring all of my other creations. LEGO has an amazing ability to inspire a craving for more LEGO, to use more parts to build something new, something bigger, or something more challenging. Like most any kid surrounded by retail marketing, I wanted more. My parents were generous and I got a few more small sets. My brothers were generous and let me use their LEGO as they began to use it less. But I wanted the LEGO Train. 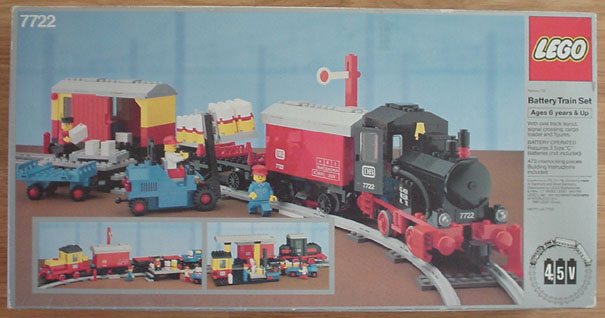 Now I know there have been many Lego trains over the years, but at the time there was only one. It cost far more than any Christmas or birthday present I ever received, (and as I understand now, cost more than my parents could afford) but I still asked for it every year. I did not get the LEGO Train. So I enjoyed the LEGO I did have, and played with it even more. 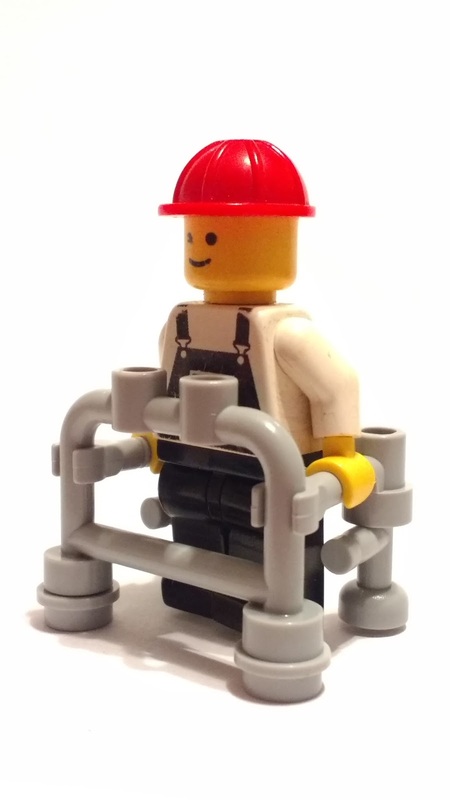 As a testament to how extensively my cement mixer driver was played with, his hip joints are completely worn, and he can barely stand unsupported. But I have quite a bit more LEGO now, so I can help with that. Like the mixer driver, I have also aged. Fortunately I can still stand unassisted. But like most children who grew up playing with LEGO, I eventually stopped. A while after getting my own Technic Set as a teenager (8856 Whirlwind Rescue), I got busy with high school. Then my LEGO got boxed and I moved off to college and started an engineering career. I spent my spare time watching the X-Files or playing tabletop games like Settlers of Catan with friends from my campus church. When people rediscover their love for LEGO and ultimately take it to a new level, they become an AFOL, an Adult Fan Of LEGO. They become part of a new community of other grown-ups like them who share that love for LEGO. (Also, they apparently share a love for acronyms, but more on that another time.) After looking back fondly on their years of being a teenager or kid who loved LEGO (TFOL or KFOL), they realize there’s no good reason they can’t love LEGO again, and discover new reasons to love it. That time in between being KFOL or TFOL and becoming an AFOL, is what AFOLs like to call the Dark Ages. The term is a bit overly dramatic, but I like it. I think most historians would agree that the best thing about the Dark Ages is that they’re over. They were an interesting time, filled with lots of interesting stories, but I think the best stories are about how we pull ourselves out of Dark Ages, leave them behind, and continue towards better things. "Let me tell you a story..." It's a common, simple request, but an important one. Storytelling is how we connect to each other. It lets us express ourselves and entertain or inspire each other. It's both a way to teach and a way to learn. It's a way to remember and relate our own experiences, and it is the foundation of history, the memory of our civilization. So now that I've made it sound incredibly important, let's talk about little plastic toys. 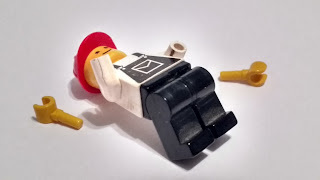 This is a blog about the intersection between storytelling and LEGO™. In the past few years I've become reacquainted with these Danish-designed plastic bricks and pieces, and discovered the culture that surrounds them. Through this, I've found myself most drawn to how LEGO can be used to both share and inspire stories. Here's a bit of my own LEGO story as a case in point. I'm the youngest of four kids, so my first exposure to LEGO bricks was from my older brothers and sister. Over the course of a few Christmases and birthdays they received a handful of sets: a Town police car and dump truck, a couple small Space sets, a Universal Builder set of System bricks, a couple bigger Expert Builder (Technic) sets. I must have shown a fair amount of interest, because before long I was given my own small set of bricks. Remembering little more than the rainbow palette and a model of blue alligator, I recently scoured Bricklink to identify it: 1560 Basic Building Set, from 1985. Containing 27 two-stud wide bricks, apparently it was a promotion for Pepsi-Cola and Crest toothpaste (separately, I presume, rather than as a collaboration). 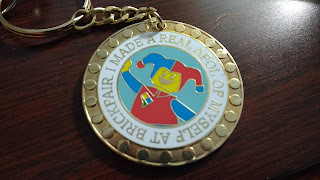 Photo Courtesy of BrickLink.com. The box from mine survived only in pieces. This set neither had nor needed instructions. Every model pictured on the box could be and was reverse-engineered by this 5-year old. But building LEGO isn’t just about making it look like the picture on the box. A child who has built a LEGO set has done more than complete a task, they’ve built their own toy. Now they can talk about what they've done and how they did it, create and tell a story about with that toy, and that can give them an idea to remake their pieces into a new toy, with another story to tell. My LEGO story starts with the blue alligator from the 1560 Basic Building Set, and it's fitting that this chapter and this blog begin with the same. I'm away from most of my collection at this moment, but here's a recreation of that alligator using the parts I have hand. So how about it? Do you remember the story of your first LEGO set, or the first one that you gave to someone else? It doesn’t matter whether you use words or bricks. Build me a story! Copyrights are owned by the LEGO Group. This is an independent site not authorized or sponsored by the LEGO Group.